The company, launched by an accomplished group of MD’s and MBA’s from Harvard University and Johns Hopkins University, has attracted some of the nation’s most influential physicians to join its board. It has experienced dramatic growth in the last year (a user growth of over 350%). Google, which seeks out high potential, rapidly growing startups–recently took notice and approached the founders. 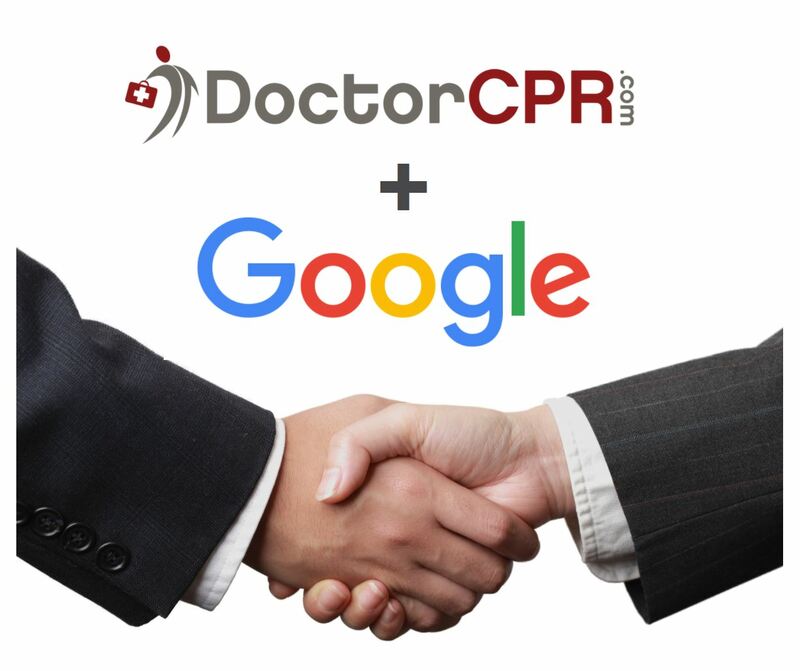 After a series of interviews with DoctorCPR’s team, in-depth evaluation of their online traction, user base, and rapid growth metrics, DoctorCPR was chosen as one of 15 companies across the nation to participate in a highly selective marketing partnership with Google. Google executives chose DoctorCPR because they felt that the company has an extremely strong leadership team, a proven and scalable revenue model, incredibly rapid growth rate, and a robust and actively engaged user base. They were particularly impressed by the company’s viral content. DoctorCPR has produced some of the most viral original content of any physician website. Several DoctorCPR blog articles have been shared on social media over 10,000 times by physicians across the country. Many of their YouTube videos have over 20,000 views, and their online site posts have more user engagement than almost any other digital career site for physicians. For example, just one recent post for a surgical center for sale received over 7,000 clicks by doctors within just a few days. The company has also consistently produced sold-out, highly interactive physician networking events with over 300 physicians and 20 corporations attending these events. Fortune 500 companies, healthcare systems, tech companies, and recruiting firms looking to engage physicians have recently taken notice of this unique physician traction and have quickly jumped in to forge customized partnerships with DoctorCPR. Google will be managing DoctorCPR’s online presence and digital strategy for the next three months and personally training their internal marketing team. Google looks forward to a profitable, long term relationship with DoctorCPR as the company grows beyond its current network of over 250,000 physicians—close to 30% of all practicing physicians. This entry was posted in News About DoctorCPR, Physician Job Board, Physician Job Search, Physician Jobs and tagged advertising for healthcare companies, best physician job board, fast growing healthcare startups, fastest growing healthcare startups, find a physician job, high potential startups, hire physicians, marketing to doctors, marketing to physicians, most popular physician networks, pharmaceutical company marketing, physician career site, Physician Job Board, physician job search, physician network, physician recruiting companies, physician recruiting site, sourcing physicians, startups with traction in Los Angeles, successful startups in Los Angeles, top physician job board, top physician network, top physician recruiters, top physician social networks by Drpost. Bookmark the permalink.